WhatIfSports.com simulated every second round matchup of the Stanley Cup Playoffs. See which teams the computer likes to advance to the Conference Finals. Four of six games in the Ottawa vs. Boston series went to overtime, with the Senators coming out on top in three of the OT contests. The Rangers, meanwhile, trailed the Canadiens 2-1 before winning the final three games of the series. Both Ottawa and New York lived up to their WhatIfSports predictions - we had the Senators advancing 59.2 percent of the time and the Rangers at 68.0 percent. In the second round, we’re giving the nod to New York. The Rangers won 57.6 percent of simulations against Ottawa, outscoring the Senators by an average of 2.51-2.10. 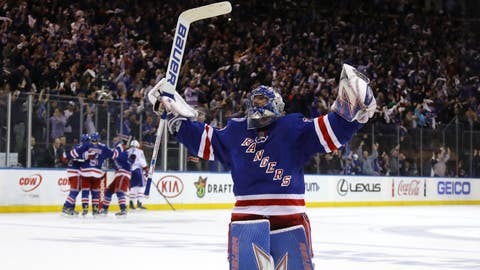 The most common series outcome was a 4-3 win for the Rangers. Could this be a case of déjà vu for the Capitals? 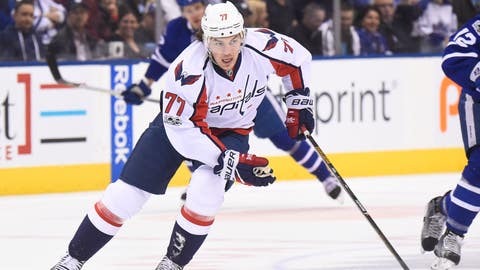 A season ago, Washington finished the regular season with the NHL’s best record and won its first round series four games to two, but was upset in the next round by the Pittsburgh Penguins. 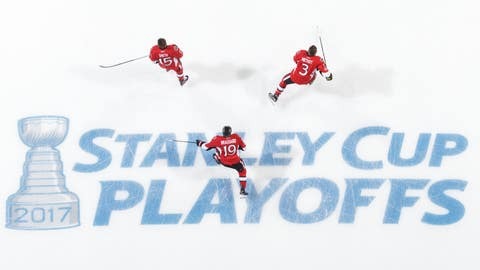 A year later, the Capitals again have the best record, again survived a six-game test in the first round, and again will face the Penguins in Round 2. We’re predicting a different outcome, though. In 1,001 head-to-head simulations, the Capitals outscored the Penguins by an average of 3.22-2.13, winning 68.9 percent of the time. A 4-2 series was the most common outcome. 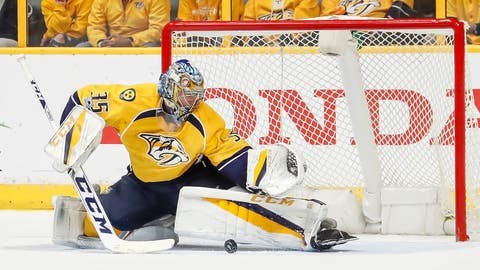 Nashville outscored Chicago 13-3 in its four-game sweep of the Western Conference’s top seed. The Predators’ next opponent, St. Louis, was nearly as impressive in a five-game victory over Minnesota, which had the second-most regular-season points in the Western Conference. In WhatIfSports.com’s simulation of the entire playoffs, both the Predators and Blues fell in the first round. Nashville advanced in 45.5 percent of simulations, while St. Louis won just 10.0 percent of the time. Our head-to-head simulation of Nashville and St. Louis likes the Predators to move on. Nashville won 54.7 percent of the time, with an average score of 2.70-2.51. The Ducks are fresh and rested after a sweep of the Calgary Flames in the first round. Despite Anaheim’s superior regular season (105 points compared to the Flames’ 94), we picked a first round upset that never materialized. In Round 2, we’re again picking against Anaheim, with Edmonton advancing in 65.3 percent of simulations. 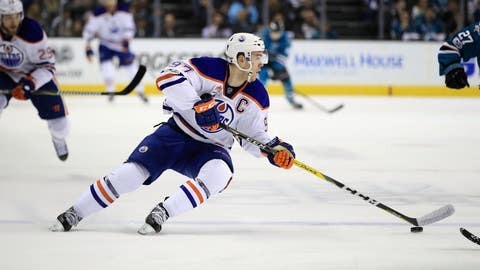 The most common series outcome was a 4-2 Oilers victory and Edmonton outscored the Ducks by an average of 3.01-2.12.